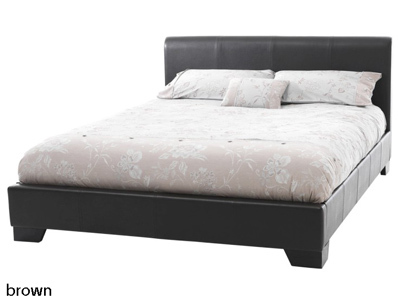 The parma bed frame from serene offers great value for money as a faux leather bed frame that is available in black, brown or white. This low end bed frame has chunky black wooden legs and offers a stylish modern look with a sprung slatted base. 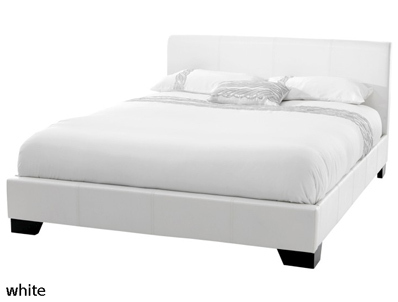 the frame is supplied without mattress and bedding and flat packed for home self assembly.